- That you don't have lots of followers. - That you haven't worked with any brands. - That you can't take the perfect selfie. - That you don't have a boyfriend to take all your blog photos. - Or a boyfriend at all for that matter. - That you don't have time to take outfit photos everyday. - Or that you wear an outfit over and over again because it's your favourite. - That you don't buy every new beauty release. - That your photos aren't instagram-worthy. - That you don't have a white room with white furniture. - That you don't live in London. - That sometimes you take your make-up off with a face-wipe. - Or don't cleanse, tone and moisturise every day. - That you don't use all high end beauty products. - That you don't post an outfit post because you've been wearing your sweats all day. - That you don't have perfect white photos. - To not always have your nails painted. - To make your blog personal to you, post about what you want to write about. 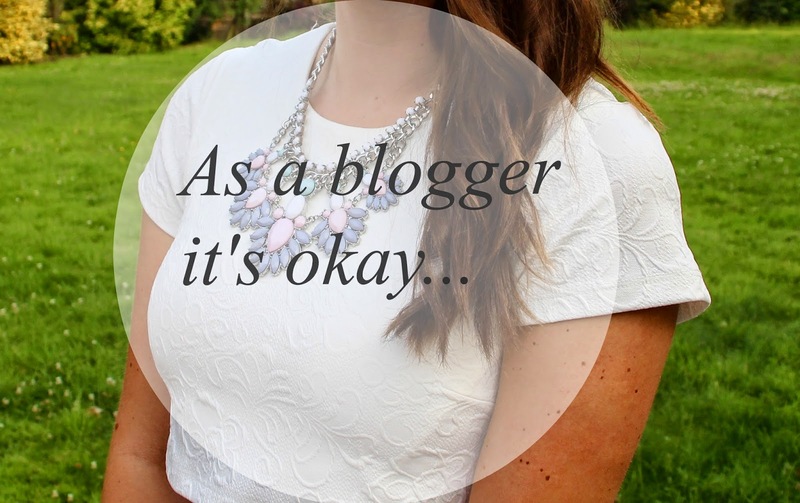 - To aspire to be like other bloggers but never copy their work. - To not worry about what anyone thinks. - To not post everyday as other things get in the way. - To love your little corner of the internet even if no one else does. This is by no means a negative post about bloggers, just meant to be a little bit of fun. Any thoughts on this post? Would love to know what you think it's okay to/not to...? Love this post, it's so accurate ha! Wonderful! 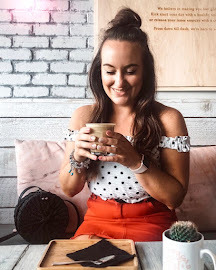 As a new blogger it's hard not to compare and put your own posts down to yourself. Gotta' keep the focus! Somebody said it, this is so important! It's your blog, do what you want to do!